During the annual celebration of Banned Books Week, PEN America is proud to partner with the Kurt Vonnegut Museum and Library in presenting Alabama Story, playwright Kenneth Jones’s new six-actor play that tells the little-known true story of a librarian named Emily Reed, who was persecuted by politicians for protecting a children’s picture book in the Jim Crow South. In the two-act Alabama Story, a gentle children’s book with an apparent hidden message—a black rabbit marries a white rabbit!—stirs the passions of a segregationist State Senator and a no-nonsense State Librarian in 1959 Montgomery, Alabama, just as the civil rights movement is flowering. 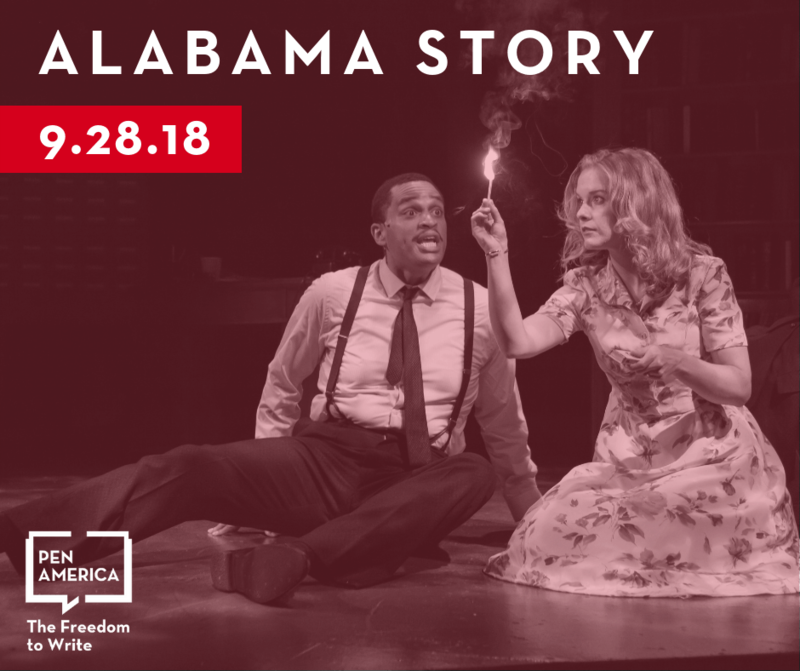 Another story of childhood friends—an African-American man and a white woman, reunited in adulthood in Montgomery that same year—provides private counterpoint to the public events of the play. Political foes, star-crossed lovers, and one feisty children’s author inhabit the same page to conjure a Deep South of the imagination. Renowned author Kurt Vonnegut took an unflinching look at the world, tempered with a satirical eye and sardonic sense of humor. In honor of his wit and wisdom, the Kurt Vonnegut Museum and Library champions the literary, artistic, and cultural contributions of the late writer, artist, teacher, and Indianapolis native Kurt Vonnegut. The library and museum serves as a cultural and educational resource unique to the nation.